An employee walks though the West-electrolysis centre at the Arvida aluminum smelter. If ever a town embodied U.S.-Canadian symbiosis, it’s Arvida, Que., which is part of a cross-border ecosystem responsible for the metal in three out of four American cars. Built by Americans, its giant smelter supplied most of the Allied forces’ aluminum in World War II and today makes metal used in Budweiser beer cans, Tesla and Ford cars and in AR15 rifles, part of the 2.5 million metric tons that Canada sends over the border each year. An aerial view of Rio Tinto's Jonquiere Complex and Arvida in Quebec's city of Saguenay, on June 20, 2018. Arvida is the epicentre. Built in 1926 by Alcoa President Arthur Vining Davis, the town is an acronym of the American industrialist’s name. One of the earliest examples of a company town, Arvida has been absorbed into the city of Saguenay, but its main street remains vibrant and the original architecture largely intact. 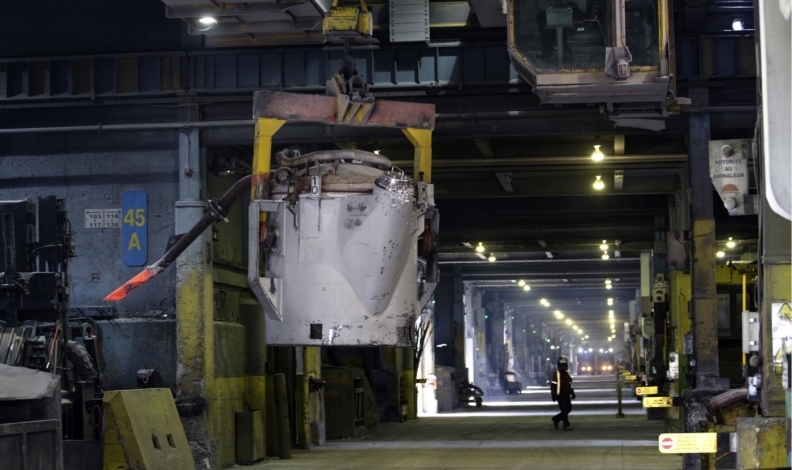 The Arvida smelter still produces some of the highest-quality aluminum in the world for the U.S. auto sector from its original red-brick building. But the adjacent, high-tech AP60 smelter is seen as the real future for production here, especially if Rio pulls the trigger on an expansion there and on a fifth smelter, Alma, in nearby Lac-Saint-Jean. Rio has yet to give a timeline for those projects, in part because it believes the market is oversupplied. While Alf Barrios, Rio’s head of aluminum, believes U.S. manufacturers ultimately have no choice but to buy from Canada, he’s concerned that tariffs will hurt Rio customers. The key question is how much those customers can pass on higher prices. Even if a trade war mainly ends up hurting consumers, the consequences for economic growth could feed back up to Rio. The region is no stranger to ups and downs. In 1928, Alcoa spun off its Canadian subsidiary, only to watch it smack headlong into the Depression. Reborn during World War II, Alcan, as it became known, flourished. Arvida was the largest smelter in the world at that time, employing 12,000 people. In the decades that followed, the company’s fortunes ebbed and flowed with global markets, even as trade ties between Canada and the U.S. deepened. In 2007, Alcoa triggered a nationalist uproar in Canada when it attempted to reacquire Alcan. Coming on the heels of two other massive takeovers, the hostile bid was seen as part of the hollowing out of Canada’s mineral sector. In the end, it was London-based Rio that took control, in a US$38 billion top-of-the-market deal. Today, about 2,500 people work at Arvida, many of them third- and fourth-generation. Rio is the area’s largest private employer, with about 5,000 people in an operation that supports more than 100 regional businesses. Employees and residents are fiercely patriotic about aluminum. “Yes, the owner is foreign, but it’s a Canadian asset,” said Jean-Francois Nadeau, general manager of the Complex Jonquiere, which houses Arvida and AP60. The industry’s influence is everywhere. From 1926 to 1960, only Alcan employees were eligible to serve as city counselors in Arvida, said Bruno Fradette, an amateur historian and third-generation employee. In a tour of the town, he pointed out examples of its American heritage. Buildings and roads are named after American founders, and the main street is lined with posters celebrating its aluminum history. When Rio took over, local sentiment swung from pride in ownership to pride over the asset’s environmental sustainability, Mayor Neron said. Aluminum has long provided high-quality jobs in Saguenay, but initiatives—including a recent push with Apple Inc. to make the metal without greenhouse gases—have the potential to further increase quality. 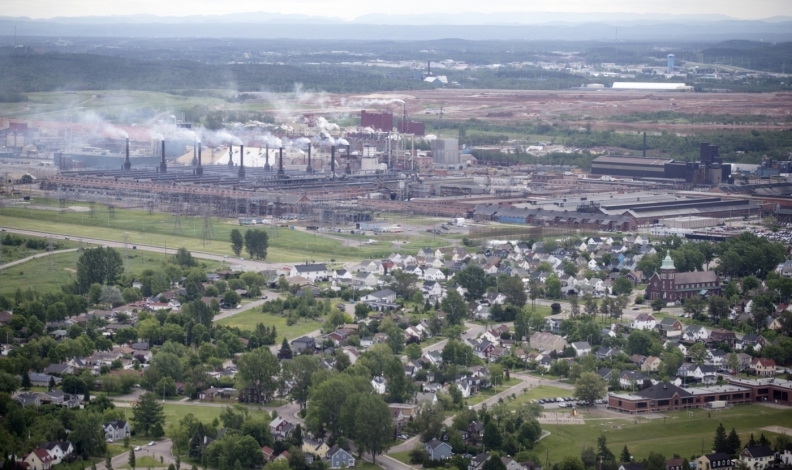 Residents already refer to the region’s product as “green aluminum,’’ she said, because processing is powered by Quebec’s abundant hydroelectricity. Hydropower is the reason U.S. industrialists first began making aluminum in this part of Quebec. But that geographical advantage was swiftly reinforced by the integration of Canadian and U.S. defence. The Bagotville military base—to which Air Force One delivered Trump for the recent G7 meeting—was built in 1942, mainly to protect the Arvida complex and its hydroelectric power. “Aluminum Gives Wings To Victory,” reads an advertisement from the period. The emergence of the Cold War solidified the region’s importance once it became clear that Soviet nuclear bombers would need to fly over Canada to reach the U.S. Bagotville is still a key part of the North American Aerospace Defense Command defence. On Sept. 11, 2001, CF-18s from the base helped enforce the grounding of commercial flights. Canada plans to introduced reciprocal tariffs July 1. For the mayor, the mushrooming trade tensions are depressingly familiar. Saguenay’s other original economic base, pulp and paper, has been devastated by decades of U.S. protectionism around softwood lumber. Neron’s fear is that aluminum will follow.